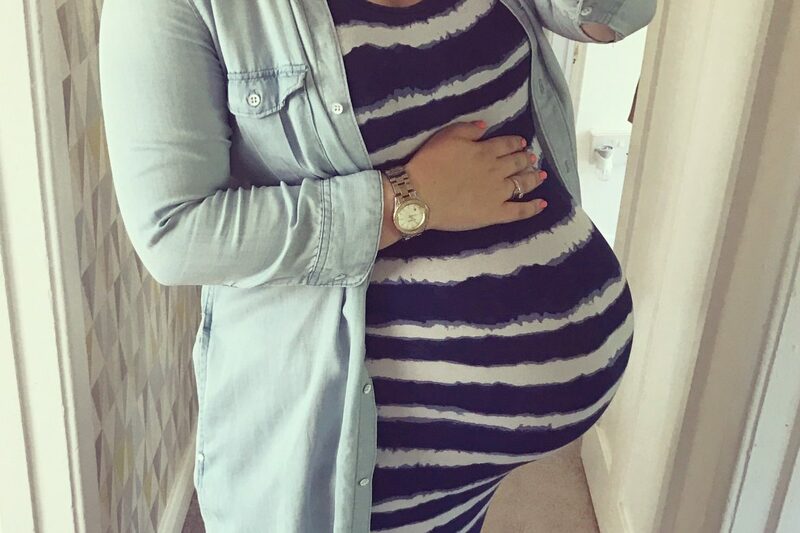 Well here I am, 40 weeks pregnant and still no real signs of this baby boy making his appearance any time soon. I honestly cannot believe I am writing this post. As Bella was born 3 days early, everyone had just assumed this baby would be slightly early too. Well how wrong were we! Even though I am only one day past my due date, I already feel like I have been overdue for weeks! It’s true what they say about your whole pregnancy flying by apart from the last week or so which seems to last an eternity. I’m definitely beginning to feel a little impatient and the waiting game is quite frankly totally exhausting! I never got to this point with Bella and then she surprised me by coming early. This time around though, my whole brain is just consumed with wondering when I will go into labour. Every twinge and tightening leaves me questioning IS THIS IT?! The messages from our friends and family asking ‘Is he here yet’ or ‘Any signs of that baby’ have begun and my gosh, they are wearing thin preeeeettty fast. So apologies if you get a blunt ‘no’ reply from me. But please remember, I am just as eager to meet him as you are! I am also constantly trying to make sure the house is clean and tidy for my home birth which may sound silly to some, but I know that if it isn’t, I will really struggle to relax when I do go into labour! And lets not even talk about how many times I have had to replenish the labour/midwife snacks because I keep bloody eating them (oops). Of course, I know he will come when he’s ready and there is absolutely no point getting myself stressed out about it. But I’m just excited. And a little nervous for whats to come I suppose. At week 40 the average weight of a baby is anything between 5.5lbs and 8.8lbs! Bella weighed 8lbs 7oz so I am expecting our baby boy to be a fairly good weight too. He is also probably around 20.2 inches long from crown to heel. My app kindly enlightened me yesterday that he is about the size of a small pumpkin! Eeeek. Apparently baby already has all the skills he needs to be ready to react and respond to us after he is born. He’ll be born with over 70 natural skills and reflexes that will help him thrive outside the womb! I last saw my midwife at 38+5 and she confirmed that baby boy is still head down and his head was about fifty percent engaged. She commented that he was in the perfect position for both which was good to hear. If he doesn’t make his arrival beforehand, I am booked in to see the midwife again on Monday. She said she would be happy to perform a stretch and sweep then too if I wanted one. I braved the scales the other day and I have gained around 3 stone!!! Which I think is about the same amount as in my first pregnancy too. I know that I carry a lot of water whilst pregnant so combined with making chunky babies, I am hoping I’ll see a decent loss once I step on the scales post baby. Mainly just loads of super strong braxton hicks and maybe even the odd proper contraction too. I’m just feeling very uncomfortable now as baby is soooo low down. He is still moving most of the time but he has definitely run out of room in there now! A few new ones but I’m not too worried as I already had so many from my first pregnancy, so what’s a few more? I am really struggling to get a good nights sleep. My hips and pelvis feel like they are grinding together when I lay down and its SO painful. I am also having lots of strange dreams all night long which keep waking me up. Oh and of course I have to get up to pee at least once too. I suppose this is all preparation for the sleepless nights up feeding a newborn that are about to come my way!! Greek salad! I’m all about big fresh salads at the moment with olives and feta. But I also have an obsession with magnum ice creams that I am desperately trying to curb. Oops. Impatient! Come on baby, get a move on, you are so loved already! At this point, I miss most things from pre pregnancy and feel quite ready to give birth now! I ordered two off the shoulder summer dresses from Mango which arrived last week and I LOVE them. 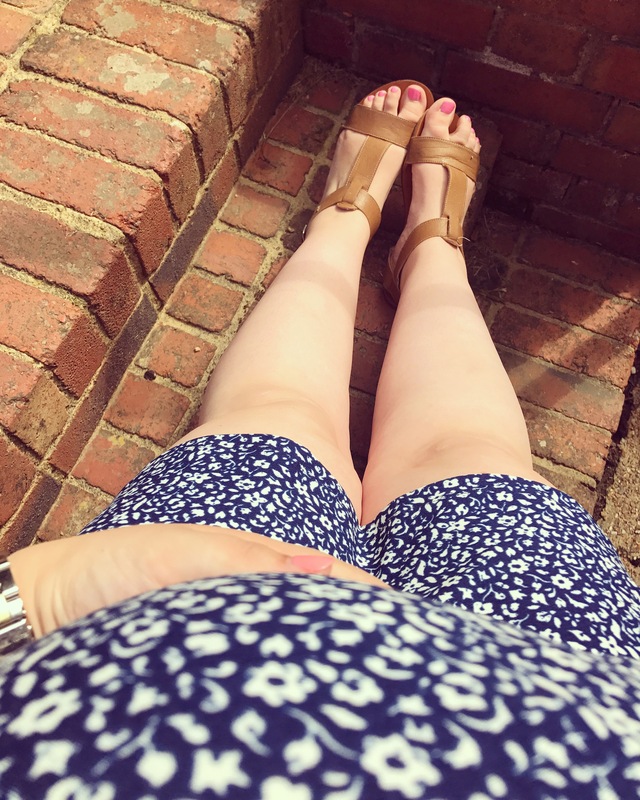 I sized up and they surprisingly fit my 40 week bump but I think they will be staples in my summer wardrobe post baby too. They will be perfect for breastfeeding and as they are nice and floaty they will keep me cool in the warm weather and hopefully skim over the mum tum nicely too! There have been lots of lovely moments over the last couple of weeks. We’ve spent lots of time relaxing at the in laws house enjoying their swimming pool in this glorious weather. But also just soaking up our last couple of weekends as a three. Finally meeting our baby boy and becoming a family of four!! I can’t wait for the moment Bella meets her much anticipated baby brother. There will definitely be tears from me. 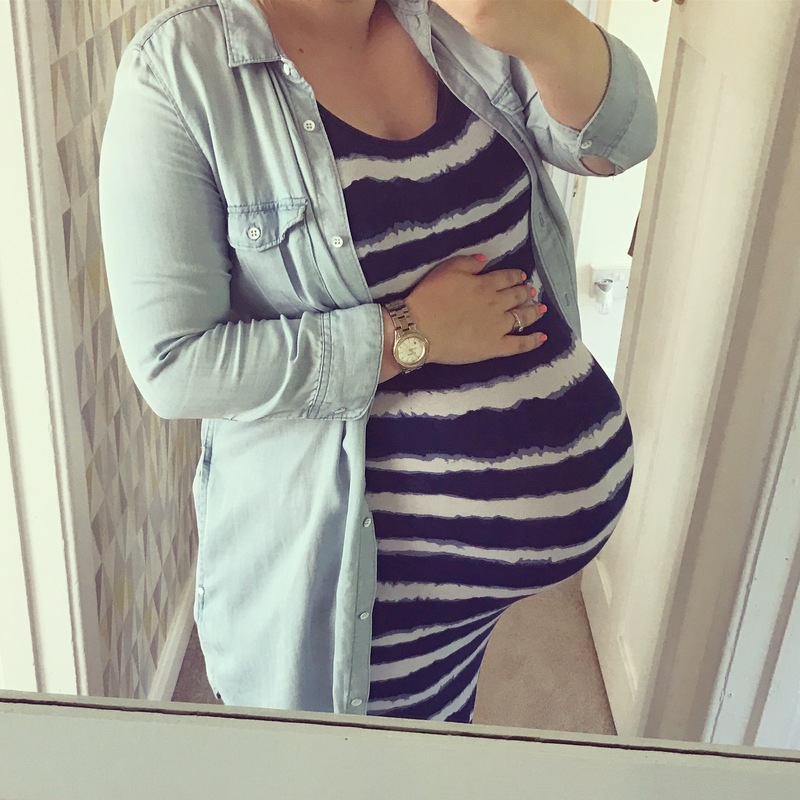 Hopefully this is the last pregnancy update I will write, if I get to two weeks overdue I will probably be a sobbing mess! 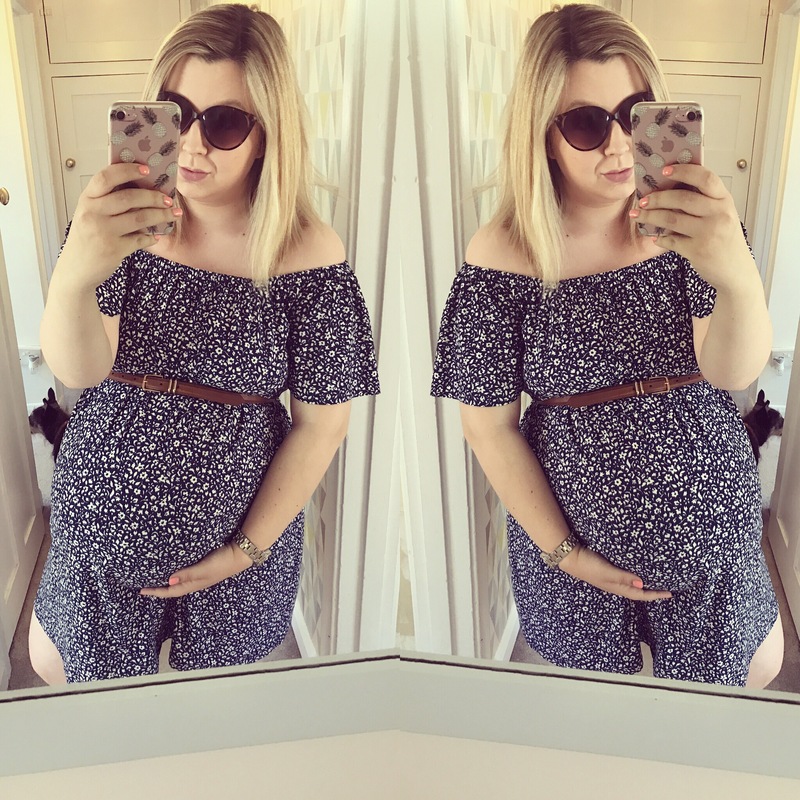 I’ve loved writing these fortnightly updates over the past few months and being able to document what is probably going to be my last pregnancy. I so hope you have enjoyed reading them as much as I have sharing them. I will no doubt be doing plenty of baby and post partum updates once baby finally arrives too so keep an eye out for those!